The return on investments in science, creativity and people were evident at Kingpins Amsterdam and Transformers, where sustainability was the leading story for almost all of the denim mills. The seminar series, Transformers, raised questions about the cost of sustainability. Speakers included representatives from Target Corporation, Lenzing, Jeanologia, Sai-tex, BlueSign, BCI, Bayer e3, Garmon, Archroma and more. 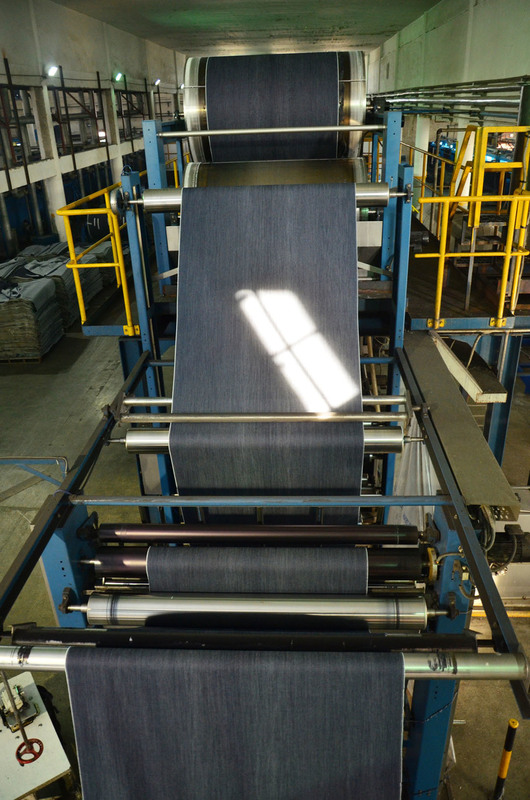 “This is a wonderful opportunity for the denim leaders to connect and address industry challenges together,” said Andreas Dorner, Lenzing commercial director for U.S. and Europe. At Transformers, Dorner presented about the value of sustainability, specifically Lenzing’s latest innovation, Refibra. He explained how the industry works together to develop new ideas and the process in which Lenzing is reusing post industrial cotton scraps to make a new fiber called Refibra™ branded lyocell fiber. Dorner said time and financial investment is necessary to creating a more sustainable denim and apparel industry. “There is no balance sheet about the costs of environmental damage,” he quipped. Denim experts agreed. At Transformers, fashion and sustainability journalist Paulina Szmydke-Cacciapalle stressed the fact that sustainable practices and innovation ultimately pay for itself, adding that companies with high ratings for CSR and ESG factories have lower costs of debt and equity. Meanwhile Target Senior Designer of Denim, Kristin Kimm, shared how the U.S. retailer is taking a lot of small steps to make a big impact in offering the end users sustainable products for value prices. “It’s a marathon, not a sprint,” Kimm said. Read the full article from our friends over at carvedinblue.lenzing-fibers.com, or click here to subscribe to their monthly newsletter with a recap of all the month's best articles. Close ups of the stitching activity in the make of a jean. This is a short sewing line of a mere few but lines can be some 40 machines long. In Asia Pacific and The Far East both men and women operate the lines. In the more sophisticated factories every process is computerised to avoid any operator errors. Thereby guaranteeing every jean is exactly the same. 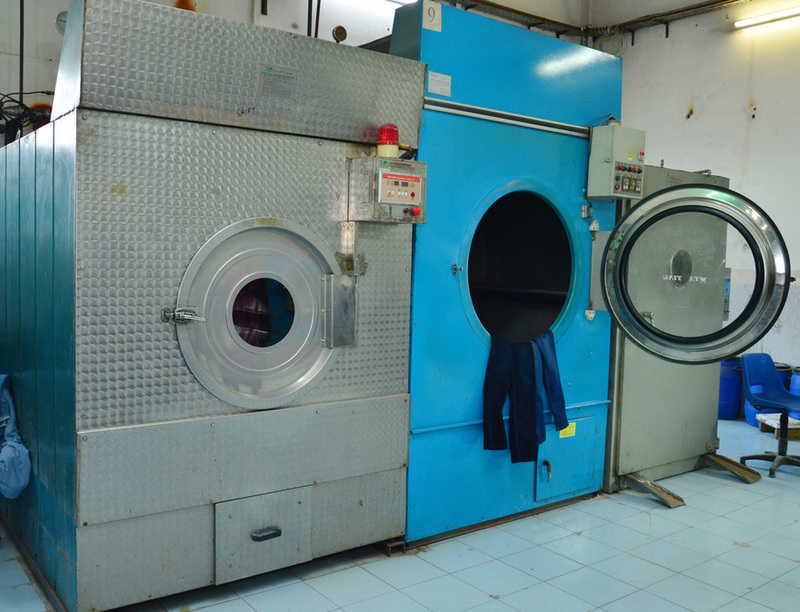 On the left we illustrate an industrial front loading washing machine and on the right two barrel washers. The jeans are loaded with different sizes of pumice stones depending on the level and type of stone wash effect and softness desired. A completed load of dried jeans. 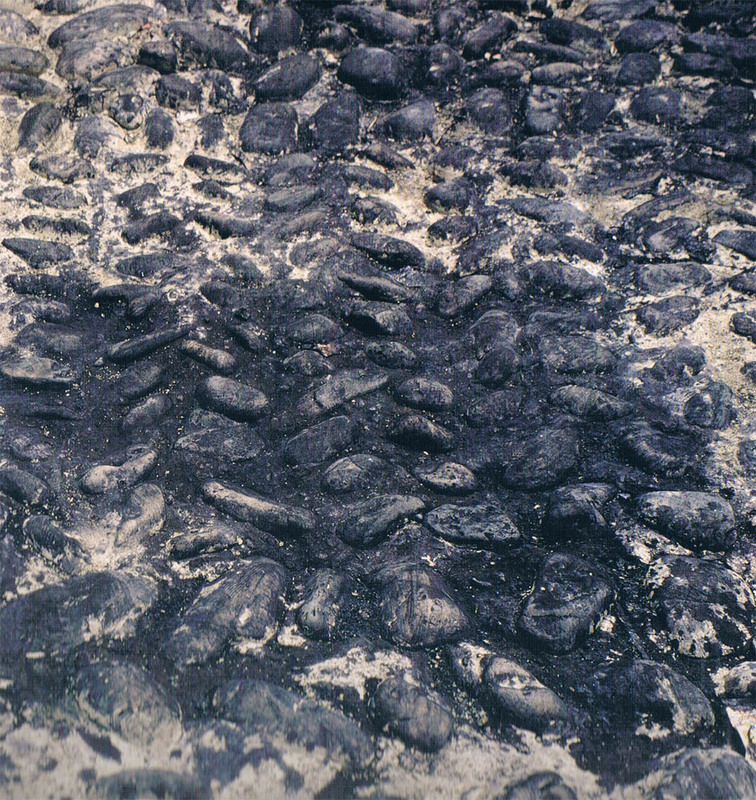 Below the unused pumice stones are scooped up for future use. On the right a finishing operative is fitting a jean onto a blow up mannequin in preperation for the scraping and spraying process. Trollies of some 100 Jeans are waiting to be "finished" - where the threads are cut; the accessories and sundries attached; and the jeans are pressed ready to be bagged. Originally denim jeans were made from 100% cotton and in spite of jeans now containing other fibres the main component is still cotton. 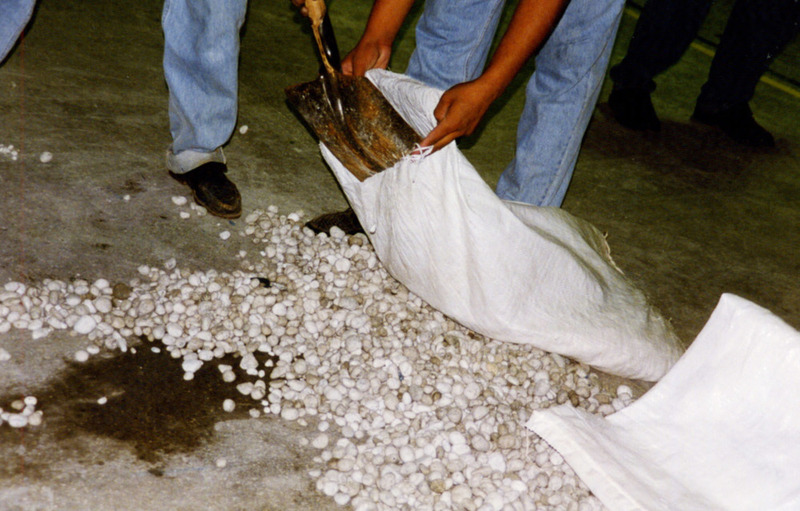 After the cotton processes, the cotton is then spun on an open end or a ring frame. The latter creating a superior quality yarn. These little drawings give a birds eye view of the spinning and warping processes which are magnified in the photographs. The above drawing depicts an open end spinning frame whilst the photograph shows a modern ring spinning frame capable of producing thousand of spindles per day. 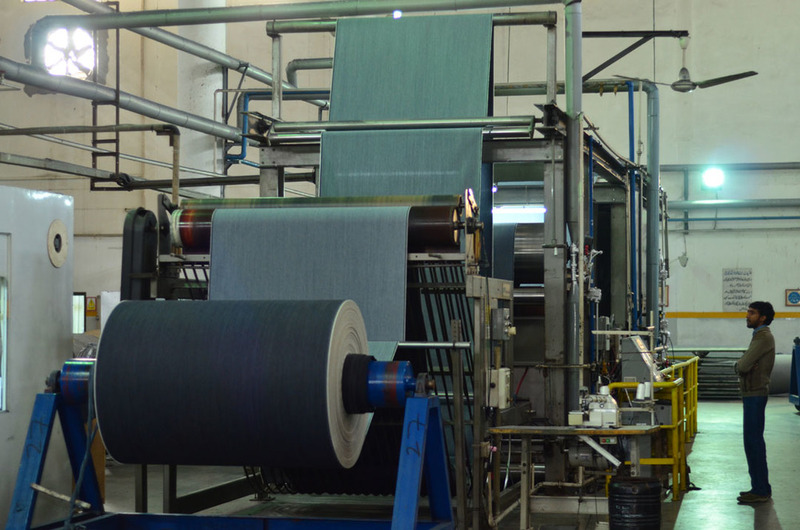 A small denim plant can manufacture around 20 million yards of denim per annum and a big plant up to 120 million. Therefore such mass cotton spinning is very much required for today's mass manufacturing requirement. Over the coming weeks we will share some of the old denim making processes which were much more of a craft than those of today. Workers in Pakistan going home after a day in the factories. A colourful local scene in Lahore. Cotton and denim is delivered in heavily decorated trucks in Pakistan. Each driver takes great pride in his truck paying artisans to personalise the truck under his watchful eye. 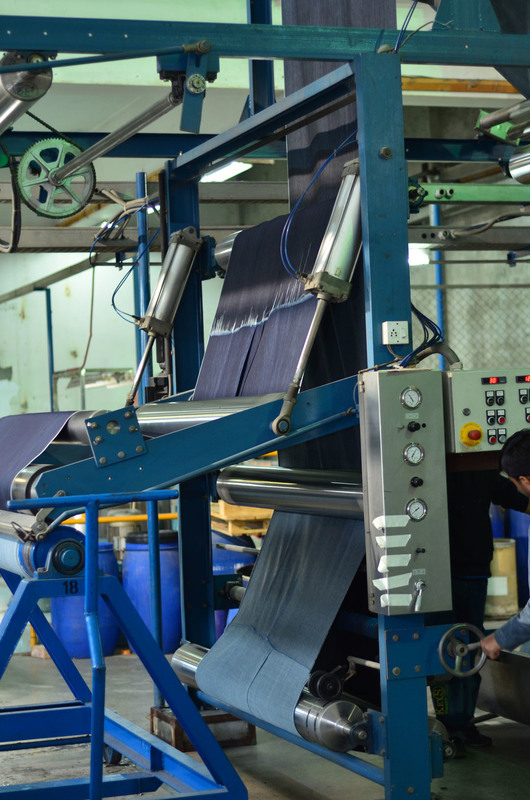 BEHIND THE SCENES: Making denim fabric. From delivering the cotton bales to dispatching the finished denim fabric. This charming drawing by Danny Southern late of Burlington Denim in North Carolina depicts the whole process of making the denim fabric. Although the equipment has been modernised and some added the processes remain the same today as they were in the late 1800's. Over the coming weeks we will take you though the journey of Indigo denim from cotton through original indigo dyeing to the finish jean. Raw cotton bales are stored outside during the dry months in Pakistan. 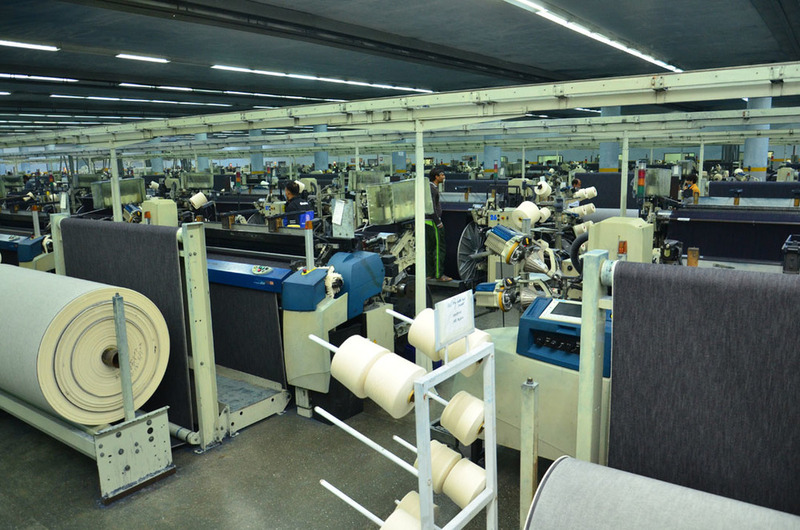 Which is one of the biggest manufacturing hubs for the supply of denim and jeans to the USA and Europe. The following charming images depict the flow of the cotton from the opening process through to drawing. Local construction workers working on site at a Pakistan denim factory.